Friends! The Food in Jars Kitchen pre-order bonus is here! 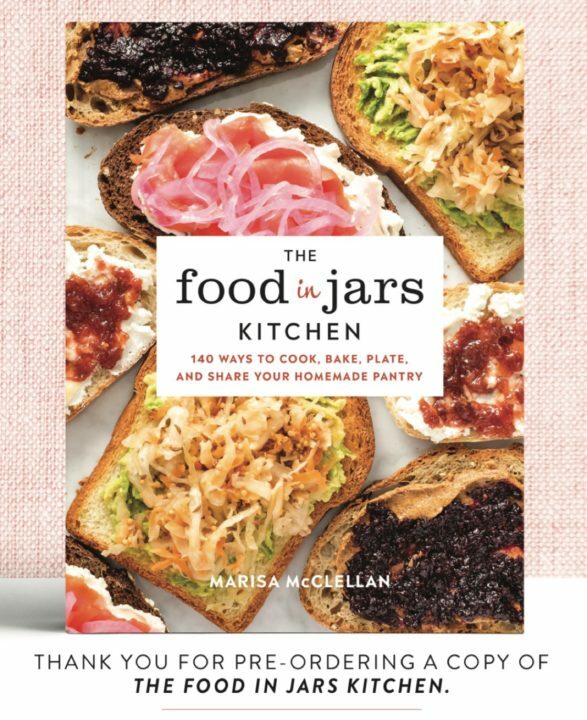 If you pre-ordered a copy of this book, all you need to do is send me proof of your pre-order at marisa@foodinjars.com and I will send you a link to download this six recipe ebook. If you haven’t pre-ordered yet, it’s still not too late! Just place an order sometime in the next week, send me documentation of your purchase, and you will get this handy ebook. Just know that I am sending these responses out manually, so please be patient if you don’t hear back immediately. I will make sure that everyone gets their copy! I made the dill pickle fritters this past weekend. They were SO GOOD!!!! I am so happy to hear that you liked them! Received the book from Amazon yesterday – do you want a copy of the invoice? Kind of concerned about that, since it has my CC listed. Thanks! Sharon, just send me an email at marisa@foodinjars.com so that I can reply with the link. I don’t want you to do anything that makes you uncomfortable and I do trust that you bought it.